Beefy chose the walk on Saturday. Saturday's forecast was for a gloomy, rainy day with a gusty wind. 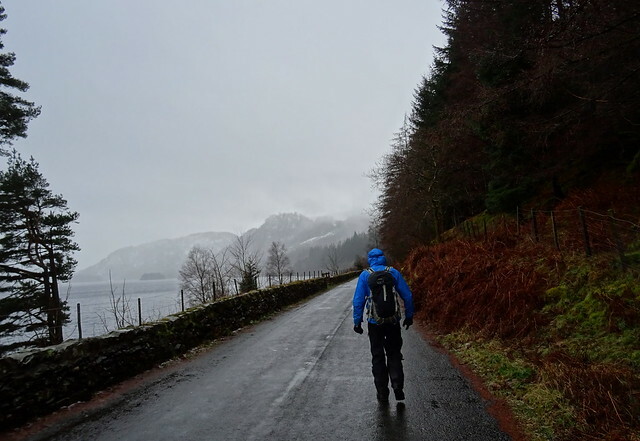 We got the bus to Smaithwaite (pronounced "Smethet") to walk along the shore road on the western side of Thirlmere. 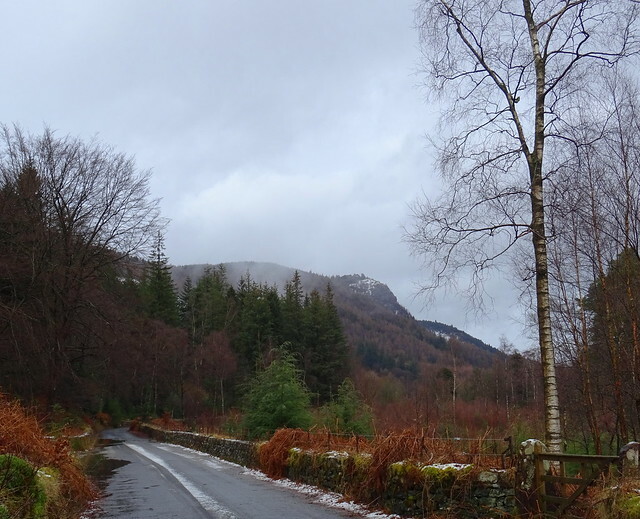 It was gloomy and a bit rainy, low cloud and no views. Our plans for lunch in it were scuppered. There were two people still asleep in their sleeping bags inside it. It was 1pm. The keg of beer outside the bothy told a story. We left them to sleep off the beer and had our lunch on the forest road a bit further down. It had stopped raining and the wind wasn't bad at all. 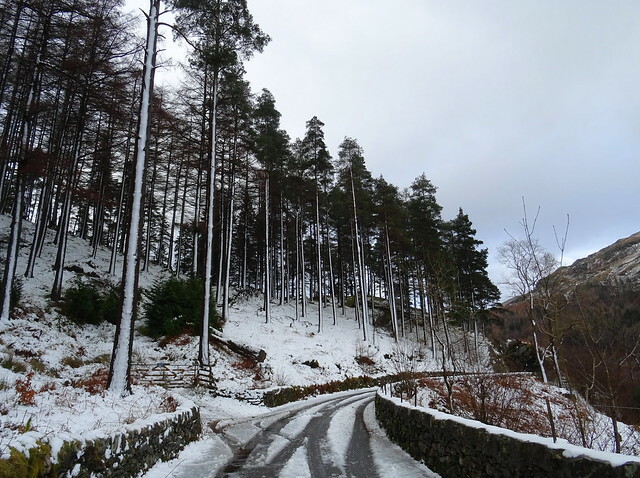 We dropped back down to the shore road to continue our walk to the other end of the lake. 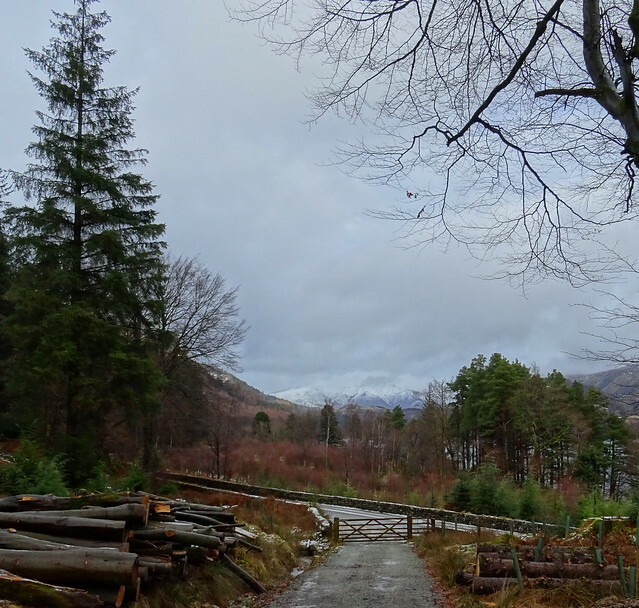 Note all the felled trees, this is where the army trucks would be ferrying the lazy sods up Fisher Crag to access the zip wire. Surely it won't be given the go ahead. I'd said we wouldn't need spikes It was very cold in places along here and the snow hadn't thawed. Stunning scenery for a man made place eh? 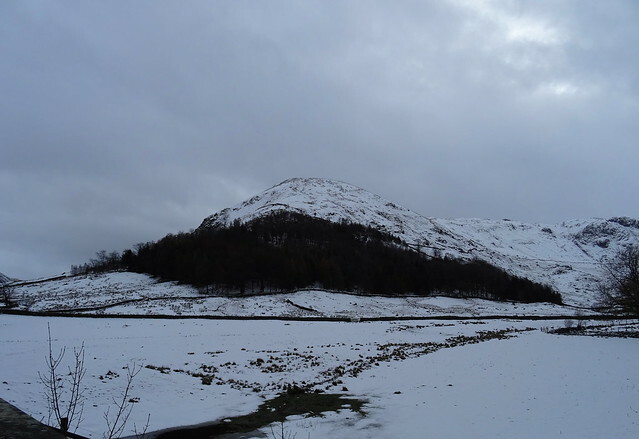 The weather brightened up and the cloud was lifting, we were really enjoying the walk, peaceful and tranquil, a gem of a place this. We felt like we could be in Canada or somewhere. How could anyone want to ruin this place? The view opened up and we had fab views southward. Here are a few words to the people who say there is nothing here for them and they would only visit if there was a zip wire here. Go somewhere else if you can't appreciate this as it is. That is the polite version of the words in my head. What a wonderful walk this was in the end, all the better for it being unexpectedly dry. 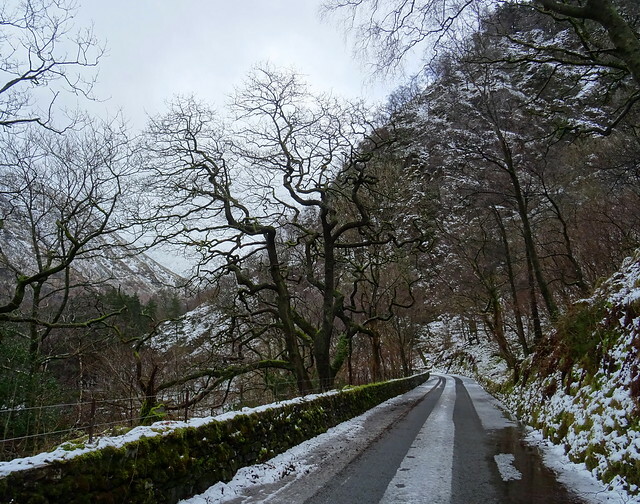 Our route was Smaithwaite - Dam Road - Thirlmere western shore road - Bothy below Fisher Crag - shore road - Steel End - Armboth Road End. 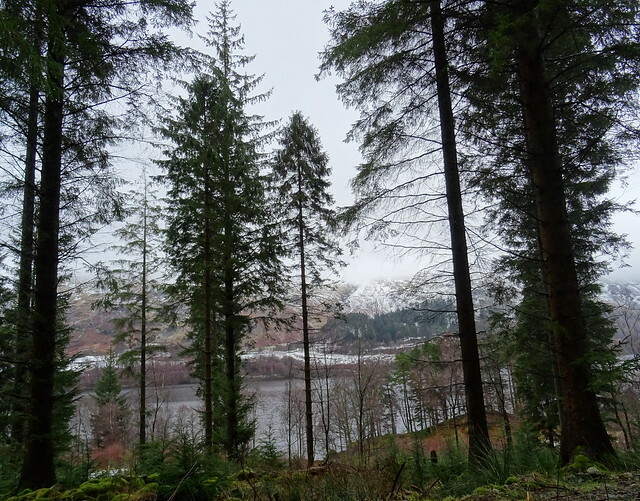 10.1km with 368m ascent according to viewranger. I don't think this can be right? I reckon no more than 100m! We timed the walk perfectly, just 10 minutes to wait for the bus. Beefy you can choose the walk for Sunday too. Lovely photos April. 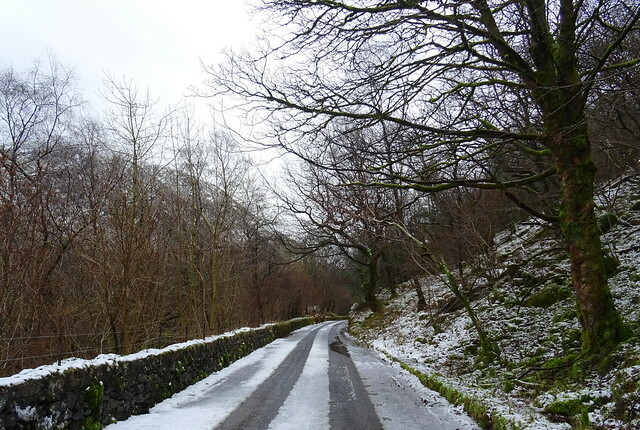 It looks very chilly, it was cold enough down here. I can't believe that the planning permission will be granted either but UU and TTT have invested a fair amount of time and money in it, they must be thinking that they have a good chance. They must have known that there would be fierce opposition after the Honister plans were thrown out. Here's hoping we are right and they are wrong. How could anyone want to ruin this place? Really enjoyed the TR and the fantastic photos, April. 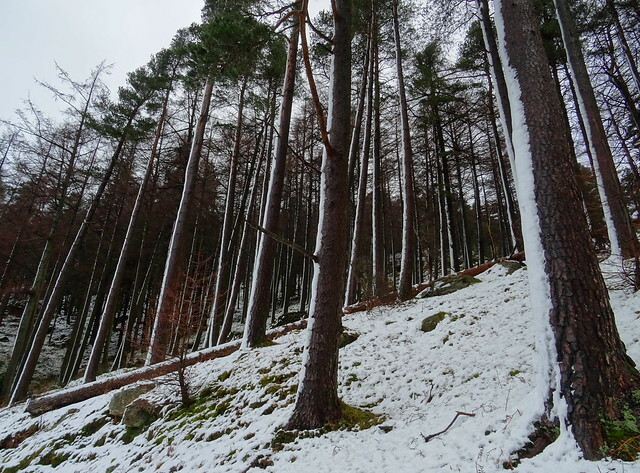 I was admiring some "snow-striped" (love that phrase) trees locally this weekend, such a magical effect. 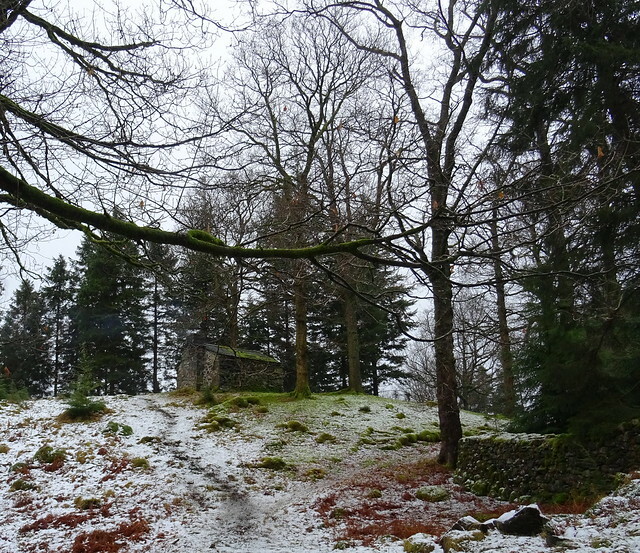 Shame about the bothy slugs - hope they both had stinking hangovers when they eventually crawled out of their pits! Nice TR April... loving the photos, especially the snow-striped trees. Looking at your photos it's so difficult to comprehend someones desire to want to change the picturesque views... just to make a few quid. One man profits, everyone else loses out!! Yes it was, how did you guess? 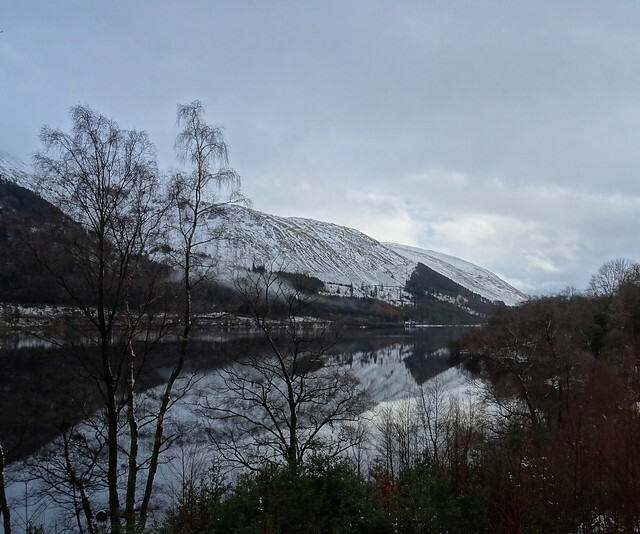 Let us hope Thirlmere remains as peaceful as it was on Saturday. 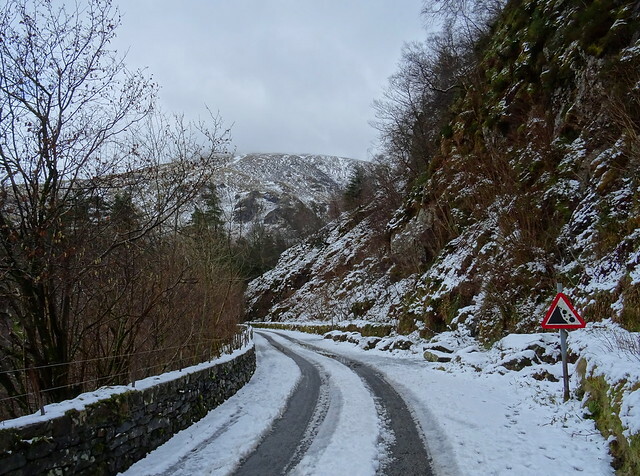 I forgot to mention that although the A591 is just on the other side of the lake you can't hear the noise of the traffic on the western shore road until you get nearer to Steel End when the lake narrows. 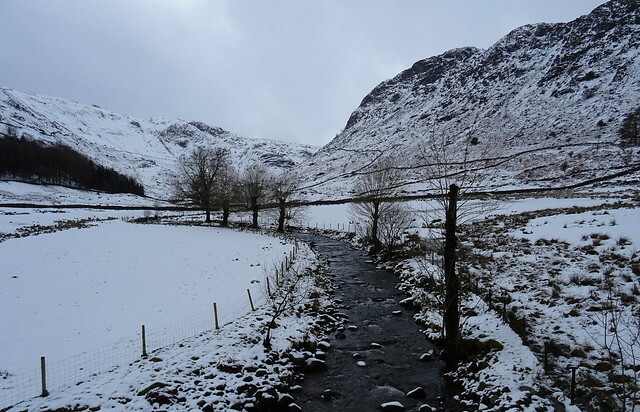 Lovely photos April - didn't Beefy take his new friend from Place Fell this week? 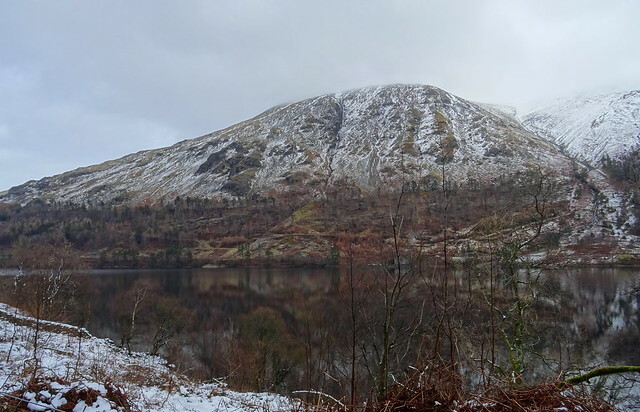 I hope, when my pal's caravan site re-opens for "the season" I can get there and do some walking round Thirlmere myself as I've only tickled one end of it on previous walks. Dovegirl - thank you, I think almost everyone on here is in total agreement with you. Pleb - deja vu? Have you been before then? 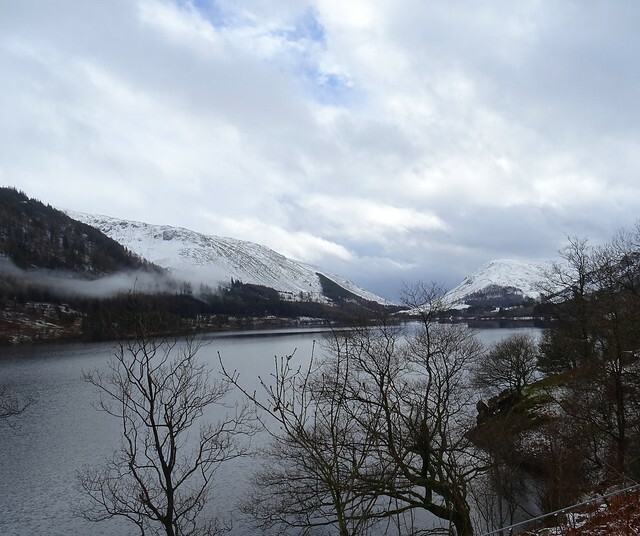 Mel - thank you and enjoy Thirlmere While it is still left in peace. Page created in 0.28 seconds with 19 queries.